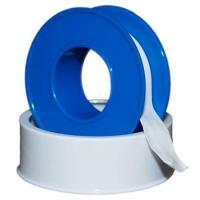 White Teflon Tape 1/2 in. x 480 ft. The use of Teflon tape on MPT fittings will help to prevent leaks. Can be used for a variety of plumbing applications.